Hayley & Avril. Not sure if this is legit atau not :). Wallpaper and background images in the Hayley Williams club tagged: hayley williams avril lavigne paramore singer. This Hayley Williams photo contains potret, headshot, closeup, and headshot closeup. (I think I've said this before on this spot but I'll say it again). Evan Taubenfeld once said on Ustream that he's met Paramore before, and obviously he was most likely with Avril in doing so. I think it would be insanely hard to edit a picture that perfectly, with the hair overlapping and all. Plus, I can tell by their hairstyles. 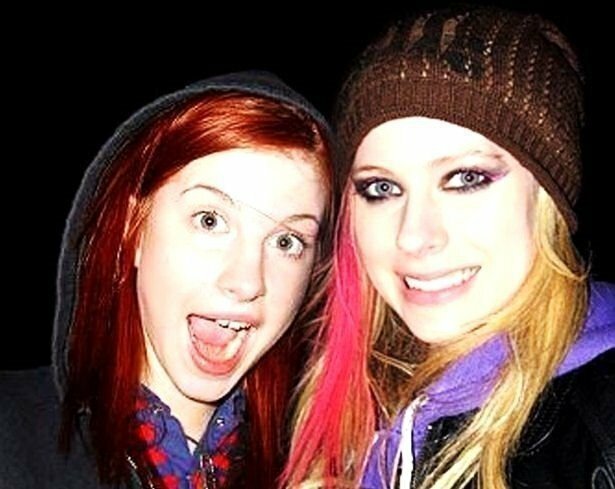 Back in 05/06, Avril had those pink streaks, and Hayley didn't have bangs yet.